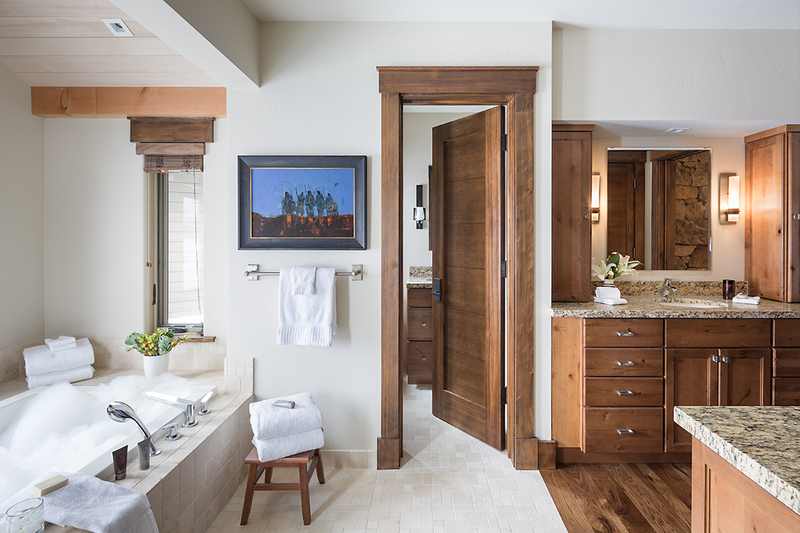 At the end of a quiet cul de sac in the exclusive Jackson Hole Golf & Tennis neighborhood, Paintbrush Retreat is as peaceful inside as it is outside. 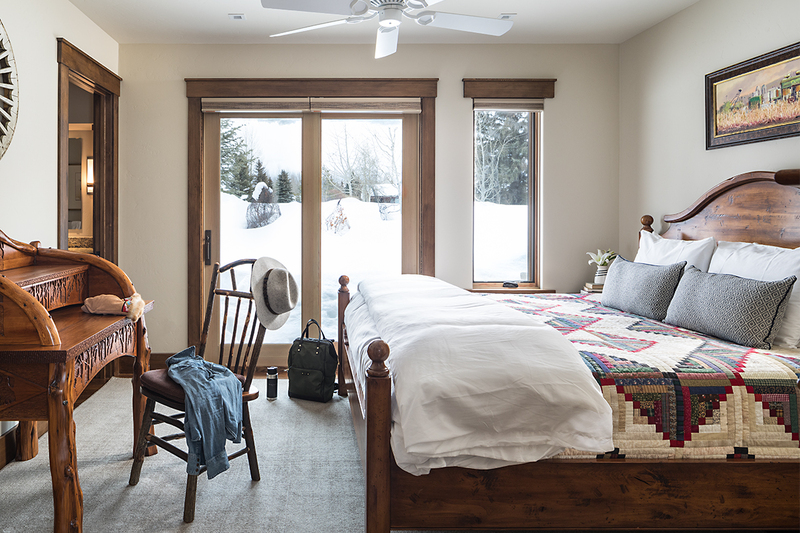 (And it’s so peaceful outside that its yard is a favorite of moose, especially in winter, when they’ve been known to wander onto the home’s patios.) 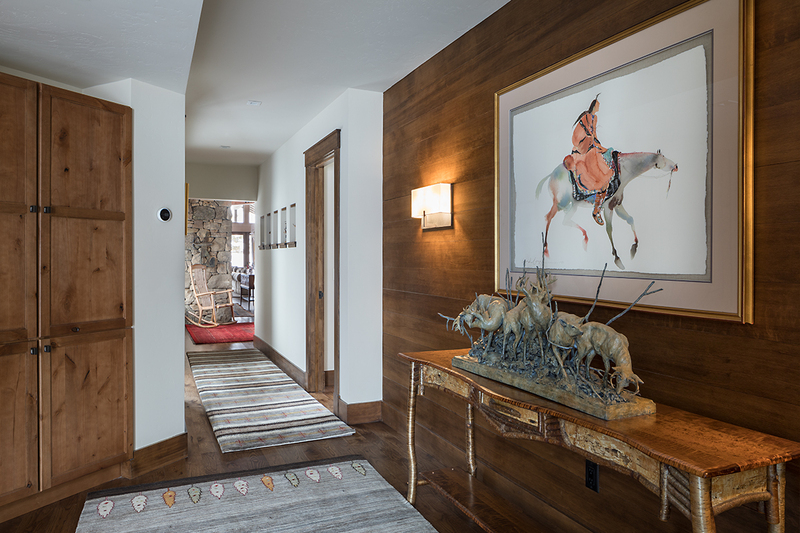 Newly constructed, this four-suite home features beautiful wood finishes, an open living area and kitchen with vaulted tongue-and-groove ceilings, and a gorgeous collection of colorful, contemporary western and wildlife art. 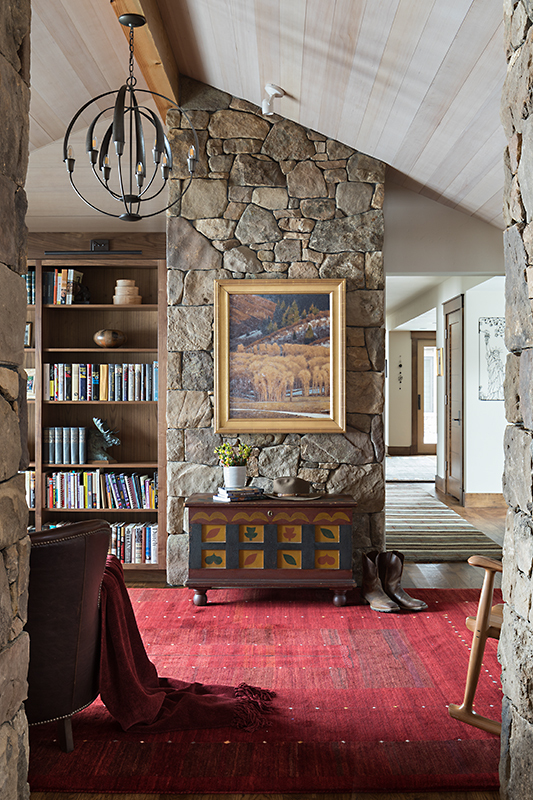 In the sagebrush flats north of downtown Jackson and immediately south of Grand Teton National Park, this home is open and airy. 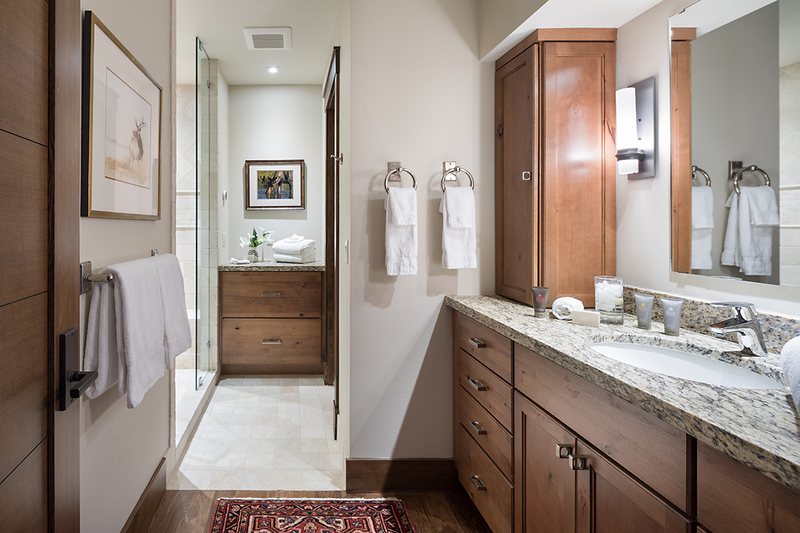 The master suite is in its own wing, which is separated from the kitchen/living/great room by a cozy office. 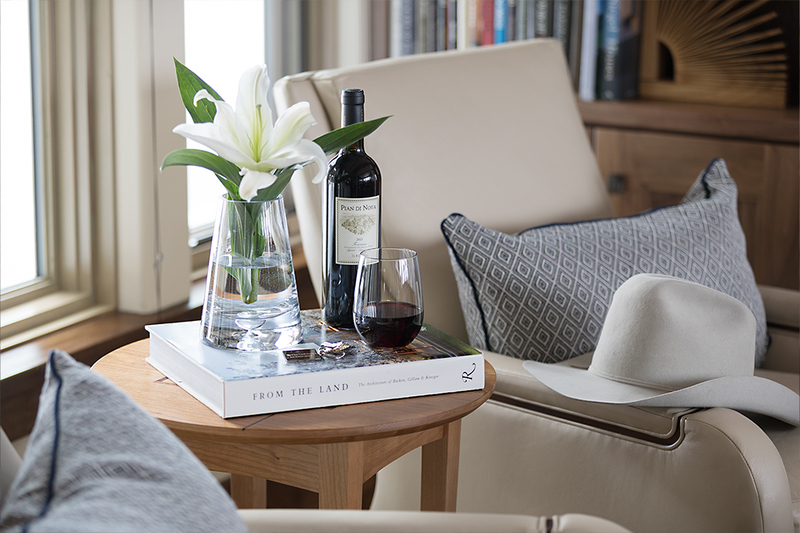 In the office is a desk with a top of inlaid galloping horses; it begs you to sit down and write postcards to friends and families back home. 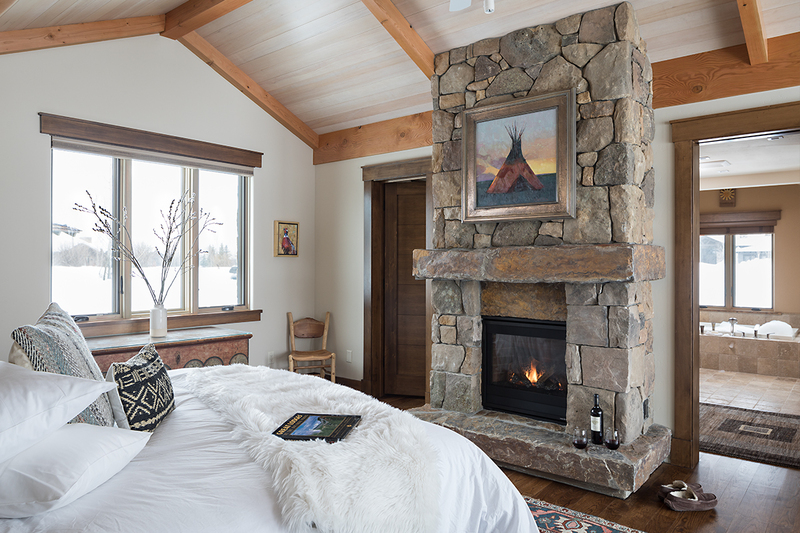 The master bedroom has a king size bed, a gas burning fireplace, and windows facing to the east and northwest. Through the latter, the main peaks of the Teton Range look close enough to touch. 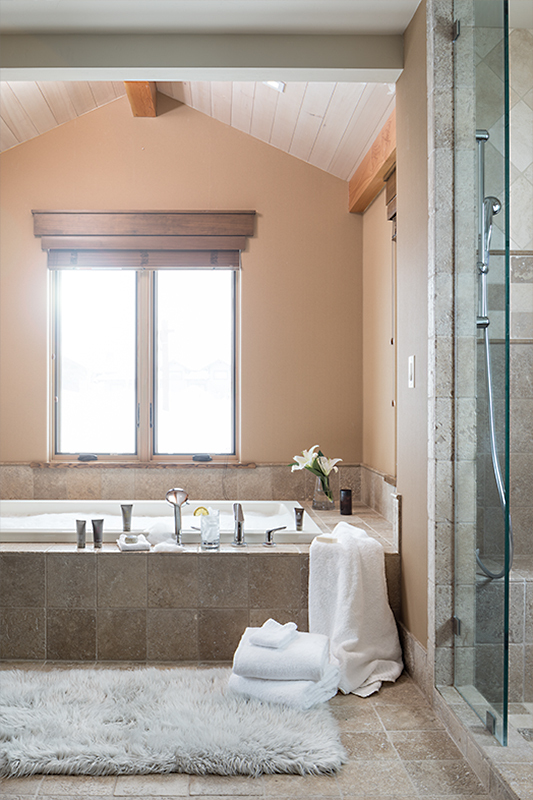 A deep soaking tub in the master bathroom has the same views. 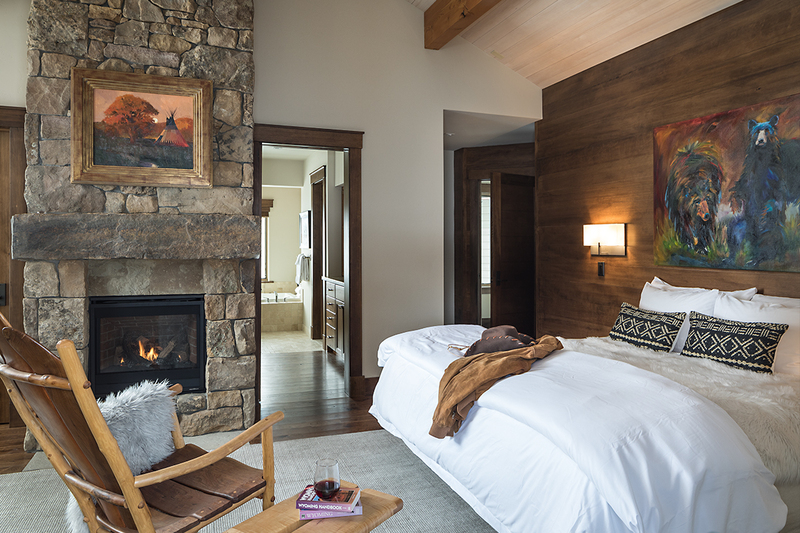 The home’s three guest bedroom suites, including an expansive junior master suite, are in the western wing. 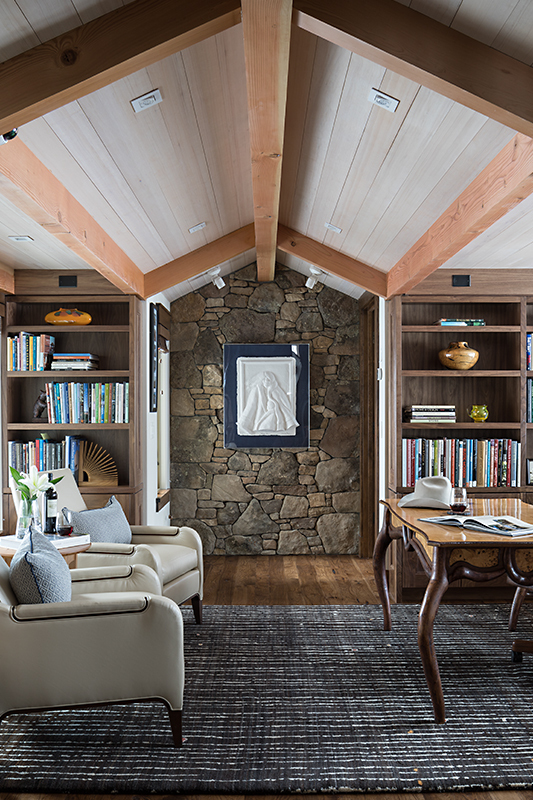 Also in the western wing are an open laundry area with a side-by-side washer/dryer combo, an intimate common area, and a mud room that connects to the garage. 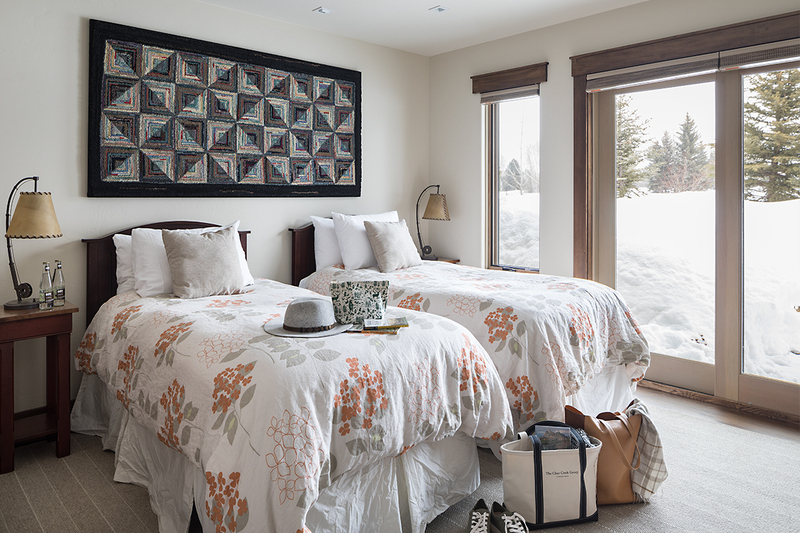 One bedroom suite has two twin beds. The other two both have king size beds. 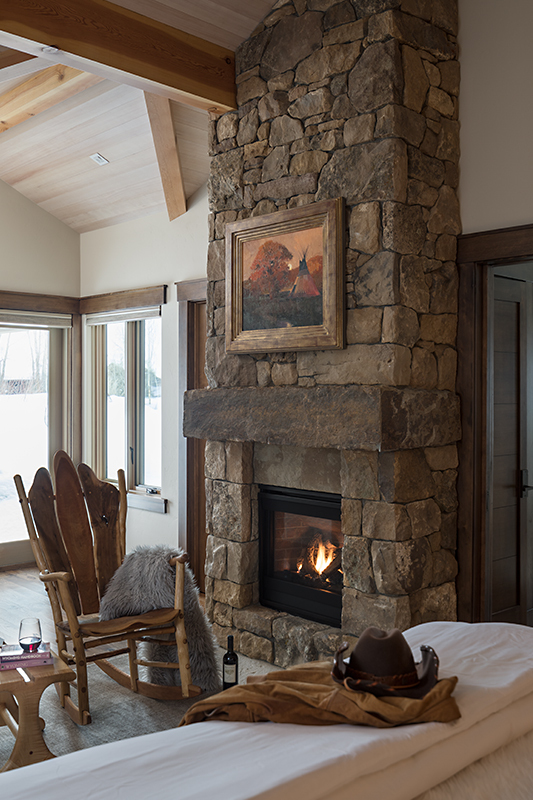 The junior master suite has a gas burning fireplace, a light-filled sitting area, and two doors to outside patios. 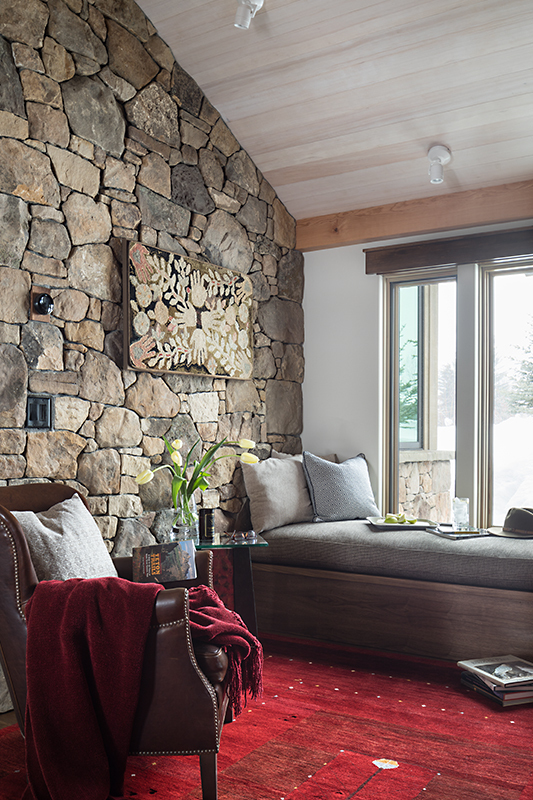 One patio faces south, making it an ideal spot to sit and enjoy coffee in the morning. 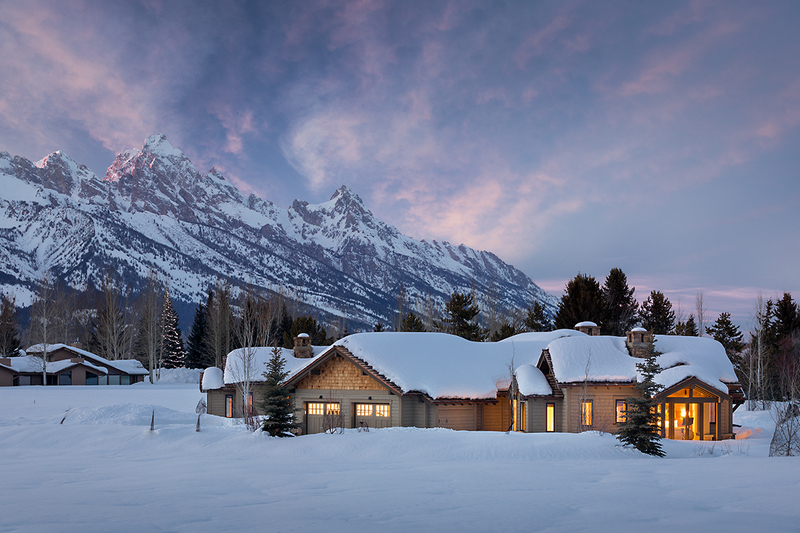 The other faces northwest and has direct views of the Tetons. 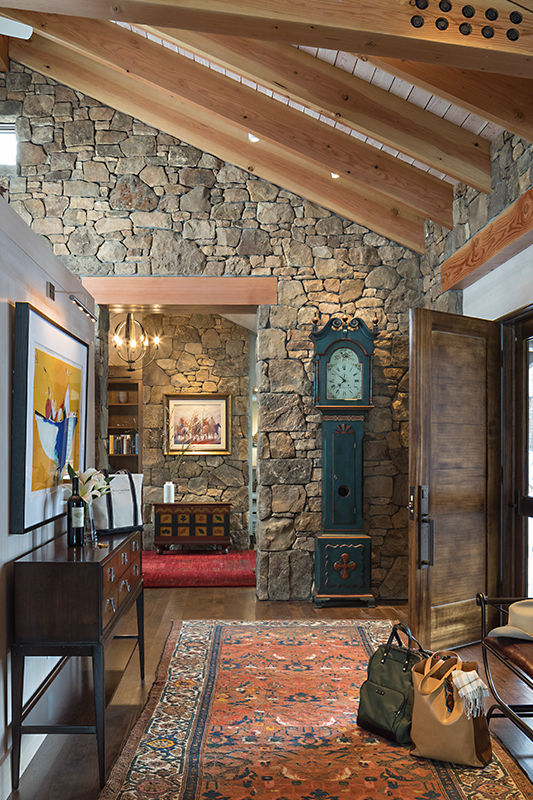 Paintbrush Retreat’s heart is its professional-grade kitchen and adjoining great/living room. 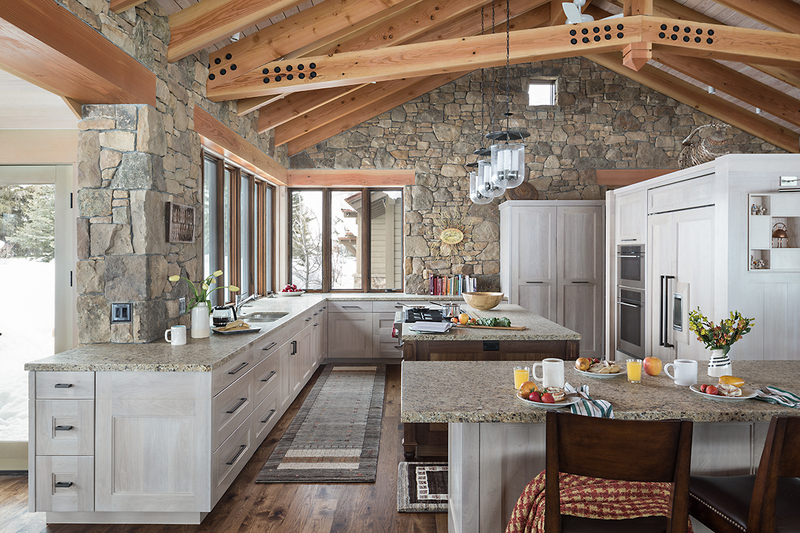 Whitewashed cabinetry makes the kitchen both cozy and modern and a dining nook with windows on three sides and a table for six is just plain cozy. 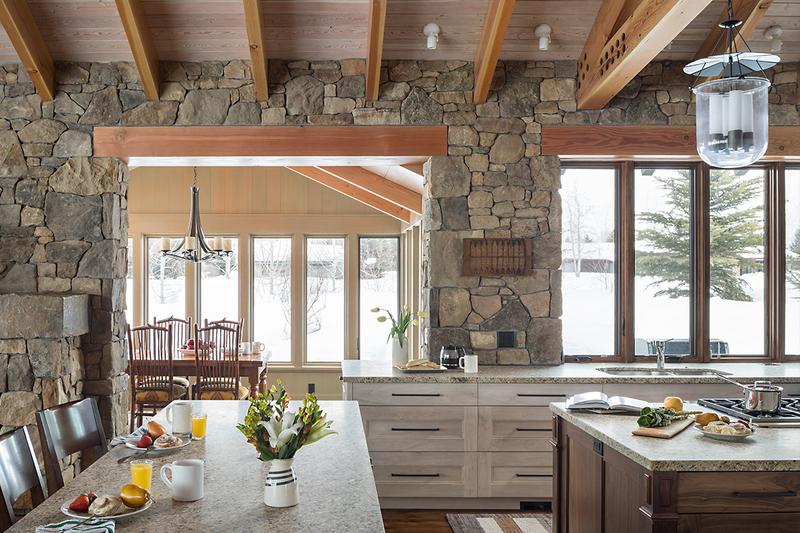 A door from the dining area leads to the home’s largest outdoor terrace, on which there is ample furniture, a gas grill, and hot tub. 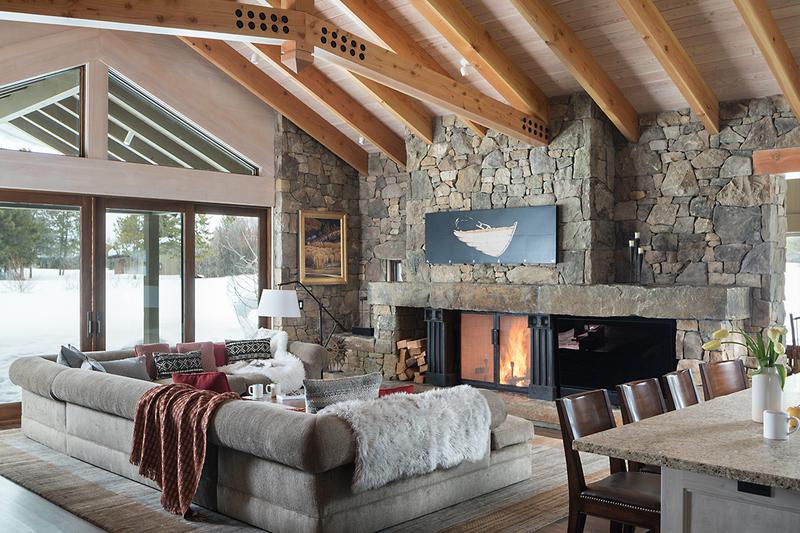 In the great room, a U-shaped sectional sits in front of a stacked-stone, wood-burning fireplace. For musicians in your group there’s a baby grand piano. Jackson Hole Golf & Tennis was Jackson Hole’s first golf course. Today it is a Certified Audubon Cooperative Sanctuary and regularly recognized as one of the best golf courses in the state. 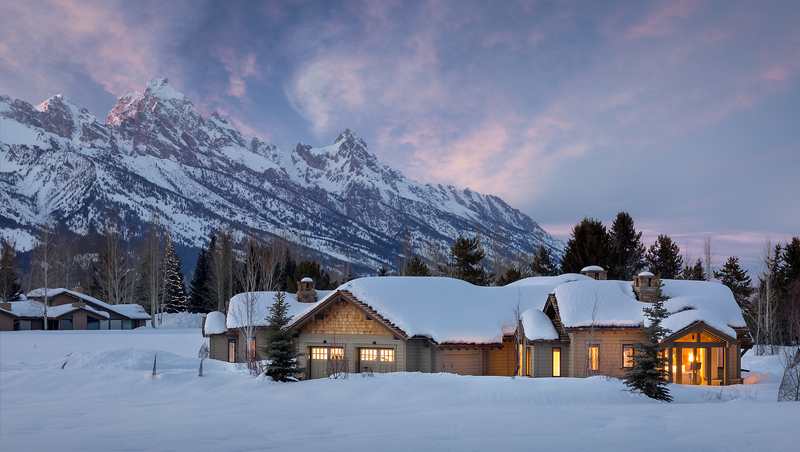 (Its views of the Tetons will distract you from even the worst of shanks … or perhaps cause the worst of shanks?) Shortly after he purchased the property in 1967, Laurance Rockefeller hired Robert Trent Jones Jr. to do a major remodel of the club’s original Bob Baldock-designed course. In 2004, Jones was contracted for a second redesign of the course, which was completed in 2007. The course is open to the public from late May into October, weather permitting. Downtown Jackson is a 15-minute drive. 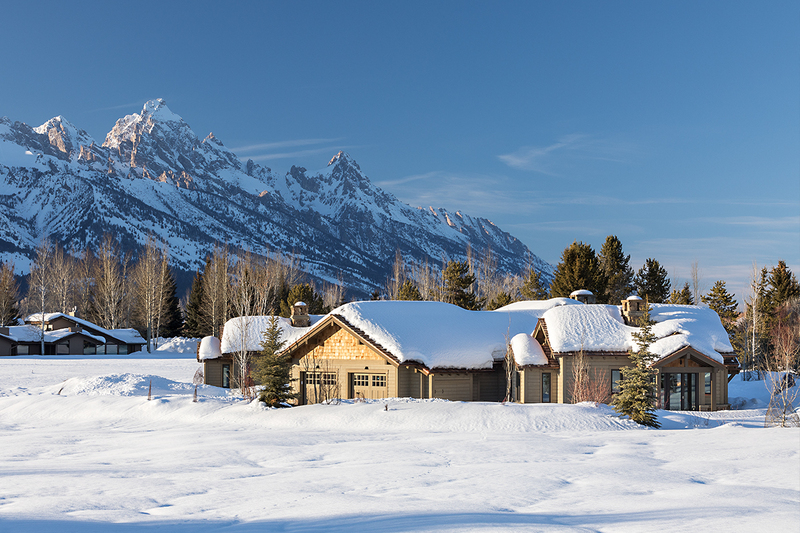 In summer Teton Village is about 25 minutes away; in winter, due to seasonal road closures, Teton Village is a 40-minute drive. 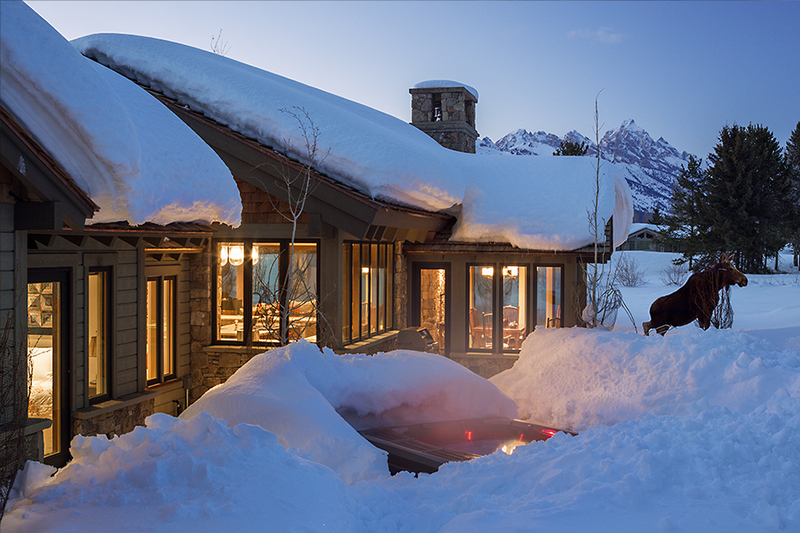 The Moose entrance to Grand Teton National Park is a 10-minute drive.